40-pound Black Rubber Parking Lot Tire Stop. 72 long, 6 inches wide and 4.25 inches tall. 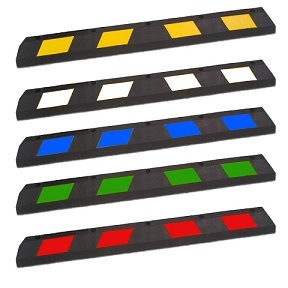 Black with colored stripes: Choose Yellow, White, Blue, Green or Red.